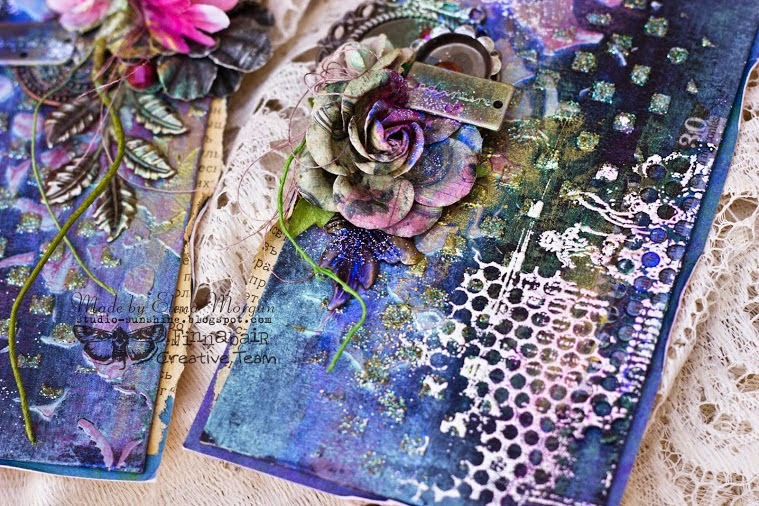 Today we have another Creative Team showstopper! 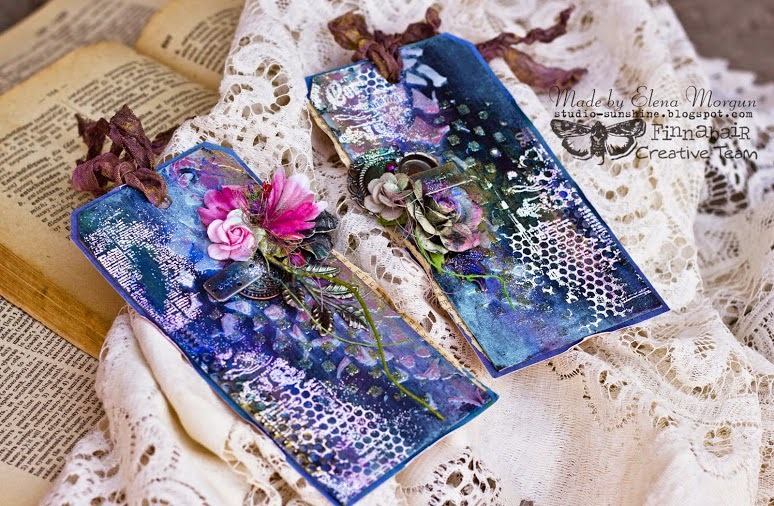 today I'd like to show you two mixed-media tags I created using new Finnabair products. This was the first time that I used black gesso and I have to tell you - it's amazing! 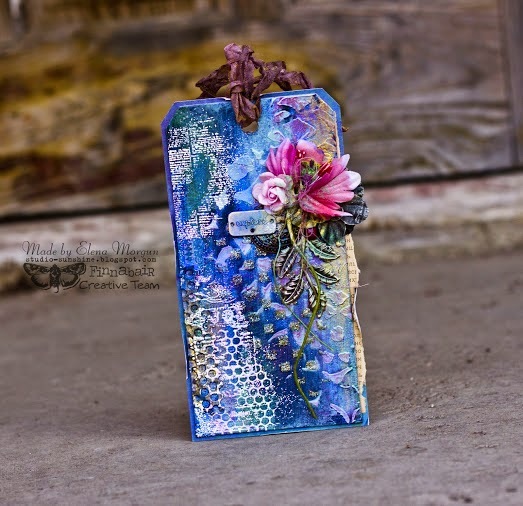 When creating these tags I used Silks paints from Luminarte. 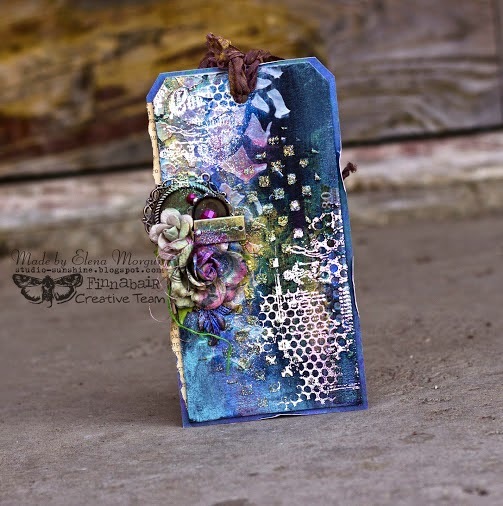 I used the Iridesсent line which shows the color best on dark surfaces - and here comes in the black gesso - it made just a perfect background for these paints and allowed to really show their true beauty! The twinkle and shimmer on the tags look just unreally beautiful! p.s. 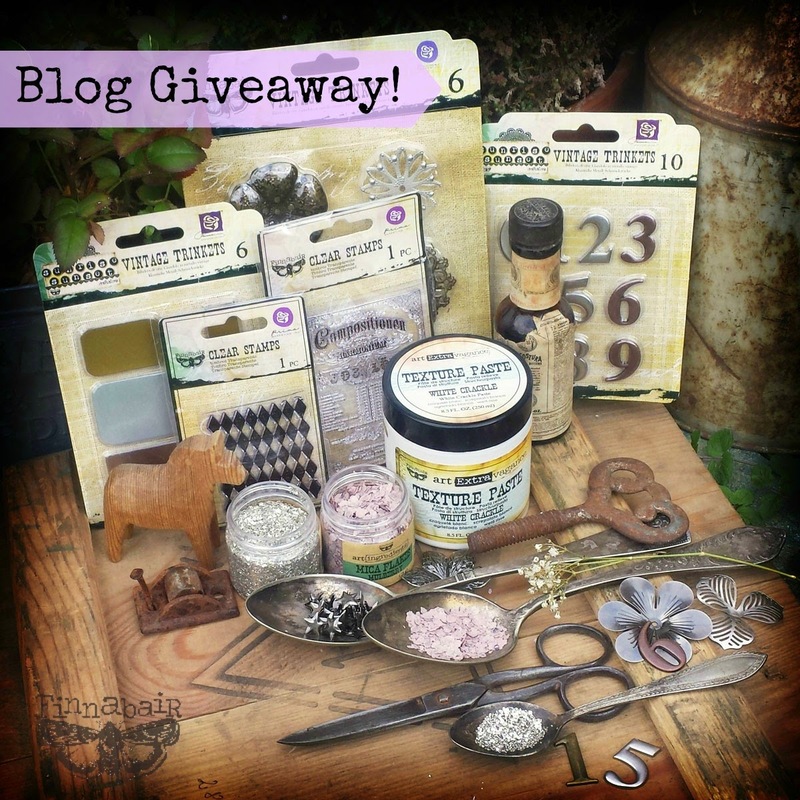 In case you missed the latest news - there is a celebratory giveaway on my blog! Wauw I absolutely love it !!! Очень красивые теги! С удовольствием понаблюдала за работой мастера, это так классно! SO COOL! LOVE IT! Thanks for sharing! OMG... I am in love! It is gorgeous, awesome, so pretty! Wonderful inspiration! Thank you for sharing this amazing video. I love the blues. Very inspiring. Wonderful. I shared all over the place. Wow! Fabulous project. The tutorial was very informative and has given me so many ideas. Thank you. brilliant tutorial. Thanks so much for sharing. PS. These tags are soooo beautiful. Fantastic tags and tutorial. Your work is gorgeous. Thanks so much for sharing. Just STUNNING! LOVED the tutorial, seeing the new products used! THX for the inspiration! great video!!! Love all the texture! Wonderful tags, the techniques can be used on so many different things. Thank you for the video, please share more if your magic!! WOW! I have watched the video three times in a row - absolutely stunning work and such amazing detail. I absolutely adore these tags. Thank you for so much inspiration and MAGIC !